Have you ever wondered if people judge you based on your favorite music genre? Or are you guilty of doing this yourself? When it comes to meeting new people, it’s always interesting to know what kind of music they listen to. Sometimes you immediately bond when you find out you both have the same favorite artist. At other times, you might dislike someone because you hate his preferred music genre. Then again, a person’s taste in music does not reflect anything about his personality. Or does it? Is judging someone based on their musical preferences smart or shallow? Music is part of cultures all around the globe. Whether it’s an African tribe jamming or a DJ playing the mainstage of Tomorrowland, we all listen to music. It’s part of our lives. Naturally, there have been many studies on music vs. personality! Spoiler alert: yes, there’s quite the link between both. There’s a lot of different studies out there, using a few different personality models. Let’s check out two important ones. A first example is the well-known “Myers-Briggs Type Indicator” (MBTI). It’s a test that defines your personality as one of 16 possibilities. Your “type” is made up of 4 traits, resulting in 4 letters. For every letter, there are two possibilities, resulting in 16 possible combinations in total. First, it tests whether you are more of an extravert or an introvert, resulting in the letter E or I. Next up, the test identifies your perceiving function, being either sensing or intuition. So the second letter of your personality type is either S or N.
Your way of judging decides the third part of your type. You can be a thinker or a feeler, resulting in T or F as your third letter. Finally, the test decides whether you prefer using your perception or your judging (letters two and three). Resulting in the fourth letter being either P or J. Examples are ENTP, ISFJ, INTP and so on. All traits or preferences described above have long and deep explanations, but let’s not get too sciencey here. Anything important is explained per genre below. Lots of fancy words, but one thing is important for you to know. Your openness to new experiences and level of extraversion are the biggest influences on your musical preferences. Now that you had a crash course in personality models and tests, let’s get down to business: what does your favorite genre say about your personality? As a fan of pop music, your personality stands out from the rest (which is also the case for metal fans). You are on the opposite side of the spectrum in relation to metal fans though. If you love to listen to chart-topping pop songs, you are quite the extravert but you may lack in creativity. If you love pop, you can also be turbulent or nervous from time to time. But let’s be honest, who isn’t? Unless you’re one of those cold-blooded psychos. Still, as a pop fan you maintain a high self-esteem and have no problem with a day of hard work. When it comes to the MBTI there’s a big chance you are either ESFP, ESFJ, or ISFP. Check out the description above and find out if it matches! As a fan of hip-hop music, you are proven to be outgoing, a trait of true extraverts. Just like your pop-listening friends (unless you don’t want any fans of pop as friends) you love to be social and go out to party. Besides your energetic and rhythmic vibe, you also display a pretty high self-esteem. Speaking of high self-esteem in relation to hip-hop reminds us of a special someone. Kanye West, anyone? When it comes to the results of the MBTI test, there’s not a single type that stands out above the rest. But that does certainly not mean it’s a dull genre, on the contrary. Hip-hop may very well be the single most personality driven genre. After all, a lot of times it comes down to just a guy or girl with a mic. Most personality types listening to this genre are extraverted and prefer sensing over intuition. Simply put, when it comes to processing new information, you prefer information that is in the present, tangible and concrete. Listening to rock means you are an intuitive person. This means you have no problem trusting information that is not directly related to your senses. You like to associate it with other information and are interested in future possibilities. When it comes to challenges, you are both relaxed and flexible. Sounds like everyone’s favorite employee! Of course, there are quite a few different kinds of rock. If you’re a fan of the classics (high five! ), chances are you’re a hard worker, at ease with yourself and you love nostalgic vibes. Not being a fan of the classics could be regarded as a felony, but to each his own. On the other hand, indie rock enthusiasts turn out to be on the opposite side. If you’re a fan of indie, you are probably a little lazy, while sporting lower self-esteem (maybe you could borrow some from Kanye). However, as an indie rocker you are more creative than other people! As a rock fan, there’s a big chance you are an ENTP (or something along those lines) personality, which is usually referred to as being a “debater”. Maybe it’s because of that rebellious rock spirit. The traits possessed by metal fans are distinctive, and turn out to be the opposite of pop fans (whoa, big surprise here). If you like throwing up the horns you are mostly introverted and very intuitive. This means you live in a world of ideas and reflection, and new information does not have to be tangible for you to interpret and process it. Sounds nice! Even though the music itself can be heavy or dark, this certainly can’t be said about you. According to the tests, as a metal fan you are quite the gentle person! You’re also really creative. Music psychologist Adrian North says metal fans are “the same kind of person” as classical music lovers. If only a bit younger. Your love for fast, loud and heavy music does not necessarily mean you only listen to brutal Death Metal bands. Few can resist the pleasures of classic acts like Motörhead or Metallica! Do you appreciate classical music? If you do, you have good intuition and a healthy amount of self-esteem. Being intuitive means you tend to trust incoming information that is less dependent on the senses. Instead you consider future possibilities or try to find patterns. The nice amount of self-esteem speaks for itself! The classical music cliché is true as well: fans of this genre are usually smarter than other music lovers. This is known as “The Mozart Effect”. Is pop too dull for you? There’s a big chance it is. Being a fan of classical music means you have a personality that loves complex symphonies and compositions. You can be a great creative mind, and you see listening to music as a theatrical experience. A trait you share with metal fans, by the way. Who would’ve thought? R&B attracts a lot of outgoing, extraverted listeners. If you are a fan of R&B, you are someone who truly follows their heart! You have no problem showing your emotions. Especially emotions inspired by the music. Random fact: apparently, you are not the biggest fans of green energy and are perfectly fine with the current use of fossil fuel. Sounds like you? Global Warming is real, you know. *Trump voice* just kidding, it’s something the Chinese invented. EDM spans a wide range of genres, but there’s a few different traits that appear amongst fans of all kinds of EDM. Fans of electronic dance music are outgoing and social. This should not be a surprise, as these days EDM is widely accepted all around the world (we’ve already finished our EDM-map of Europe). It’s a new kind of pop, directly competing for radio playtime. Songs that make mainstage crowds go crazy can now be heard playing on your mother’s favorite radio station. Of course, your outgoing personality comes in handy if you plan to attend a festival or two during the summer. There’s a chance you aren’t the gentlest person while out there on the festival grounds though. But to be fair, we all hate it when you’re standing in a crowd and a group of people tries to push past you on their way to the front line. The “fast, loud and heavy” attributes found in heavy metal also make an appearance here. Just think of some bangers by Skrillex or Diplo; you can’t hold back the crowd when they drop. So, we’ve talked about a few different genres, each with their own attributes and personality traits. It’s clear that asking about someone’s musical taste might give you an idea of that person’s personality. But please, don’t go and delete all your contacts because you can’t seem to enjoy their Spotify playlist. 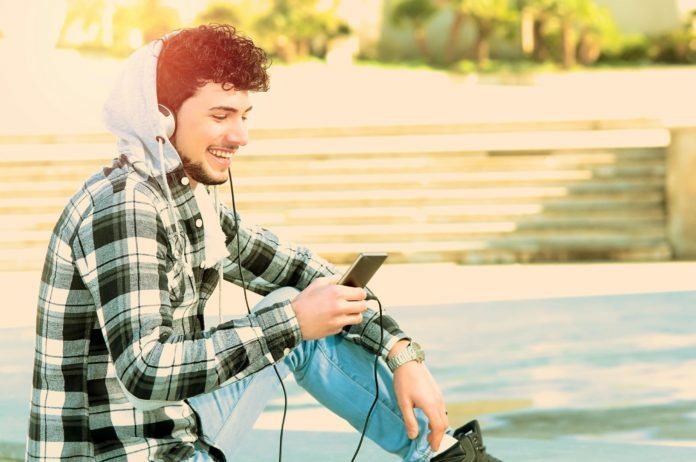 Most people listen to more than one genre, and you should too! It might not change your personality, but has quite the list of benefits. Remember: while our preferred music might give you a first impression, it’s not supposed to divide us. It’s supposed to unite us! Does your favorite music genre match your personality according to this list? Let us know in the comments, or subscribe for more musical facts straight to your inbox! Previous articleHow to get into Berlin clubs?